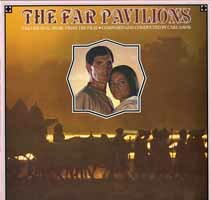 To date, the complete soundtrack is not available on CD. However, the main theme is available as part of a compilation of Carl Davis' television compositions. Carl Davis, CBE(born October 28, 1936) is an American-born conductor and composer who has made his home in the UK since 1961. A consummate all-round musician, Carl Davis is widely known internationally in many spheres of music-making. In 1959 the revue Diversions, of which he was co-author, won an off-Broadway Emmy and subsequently travelled to the 1961 Edinburgh Festival. As a direct result of its success there, Davis was commissioned by Ned Sherrin to write music for That Was The Week That Was. Other radio and TV commissions followed and Davis's UK career was launched. Since then he has been enormously successful in the world of theatre, composing scores for the Royal Shakespeare Company and the National Theatre, and working closely with artists of the calibre of Laurence Olivier, John Gielgud, Joan Littlewood, Jonathan Miller, John Wells, Barry Humphries and Billy Connolly. Davis's output for film and television is vast, including The World At War, The Snow Goose, Hotel du Lac, Hollywood, The Naked Civil Servant, The Far Pavilions, Silas Marner, Champions, Scandal, The Commanding Sea, Oppenheimer, The Rainbow, and The French Lieutenant's Woman. Pride and Prejudice has been one of his best-loved scores and this was followed by Cranford in 2007, also for the BBC. Music for silent films has been an enduring strand of Davis's activities: a project to revive the Chaplin films has focussed on 'The Mutuals' - a cycle of 12 films all with original Davis music. His 1980 score for Abel Gance's Napoleon triggered an extraordinary revival of interest in the silent film, and Davis's oeuvre of more than fifty scores for this medium, including Flesh and the Devil, Ben-Hur, The Thief of Bagdad, Greed, Intolerance, Safety Last and The General, has brought him international acclaim. 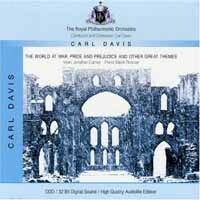 Throughout his career Carl Davis has composed concert works, among which a Clarinet Concerto, Fantasy for Flute, Strings and Harpsichord, Symphony and Ballade for cello and orchestra are particularly notable. There are also many concert suites derived from film scores, vocal music, choral works, instrumental and chamber music, and opera. In 1991 his first collaboration with Paul McCartney produced Paul McCartney's Liverpool Oratorio, now being performed in many countries throughout the world. The EMI recording of the work has achieved record sales world-wide, whilst the BBC documentary and EMI's commercial video have done much to publicize this new departure for both composers.